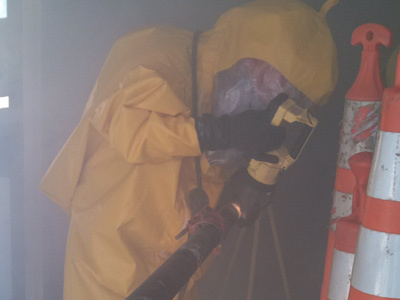 Kappler training suits make the most of your PPE budget. 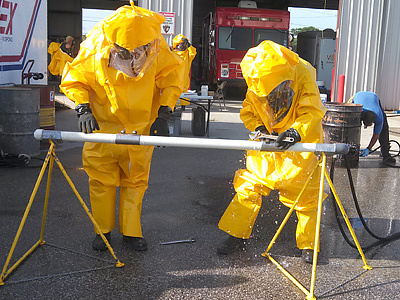 Training is critical for safe, effective hazmat response work. 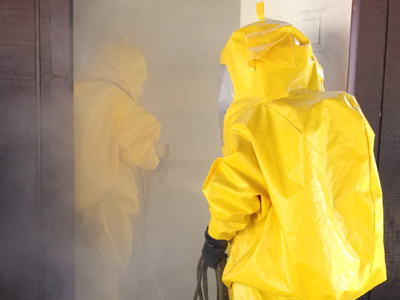 But using regular PPE inventory can be costly and inefficient. 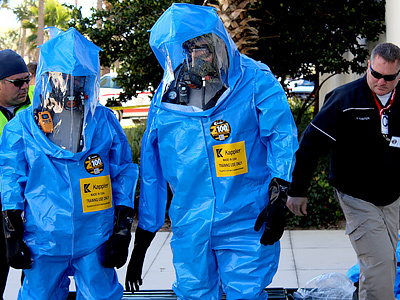 That’s why Kappler offers garments specifically designed for training. 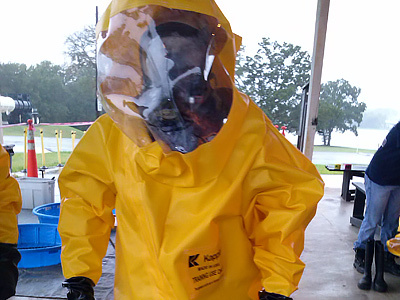 Kappler training suits wear just like our regular hazard protection apparel, but without the full holdout protection needed for actual hazard exposure. 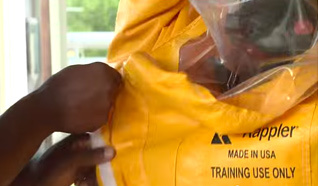 From donning and doffing to real-world hazmat scenarios, these Kappler-quality garments give responders the exact same experience as wearing a standard garment. Designed to be used and laundered multiple times, you get the extra benefit of significant cost-savings. 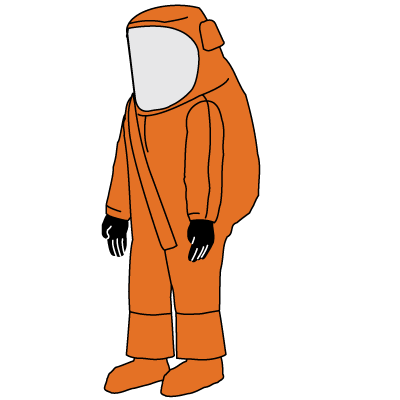 Front Entry, Expanded Back, Expanded View AntiFog Visor System, 1 Exhaust Port, Attached PVC Gloves, Attached Sock Boots with Boot Flap, Double-Stitched Seams For Added Durability, Double Storm Flap with Hook and Loop Closure, Polyester Zipper, Attached Hang Loop at Top of Hood, Marked TRAINING USE ONLY. 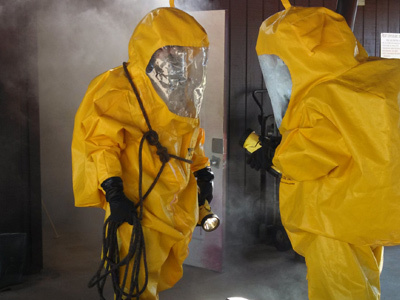 Front Entry, Expanded Back, Expanded View AntiFog Visor System, 1 Exhaust Port, Attached PVC Gloves, Attached Sock Boots with Boot Flap, Double-Stitched Seams For Added Durability, Double Storm Flap with Hook and Loop Closure, Polyester Zipper, Marked TRAINING USE ONLY. 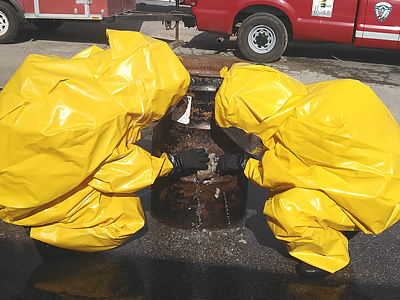 Rear Entry, Expanded Back, Expanded View AntiFog Visor System, 1 Exhaust Port, Attached PVC Gloves, Attached Sock Boots with Boot Flap, Bound Seams, Double Storm Flap with Hook and Loop Closure, Polyester Zipper, Marked TRAINING USE ONLY. 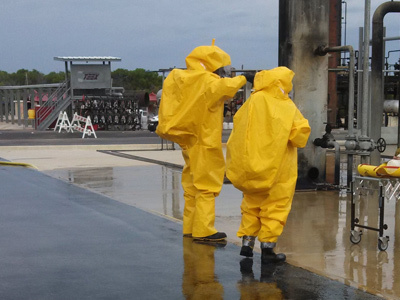 The Texas A&M Engineering Extension Service (TEEX) is an internationally recognized leader in emergency response training and exercises. 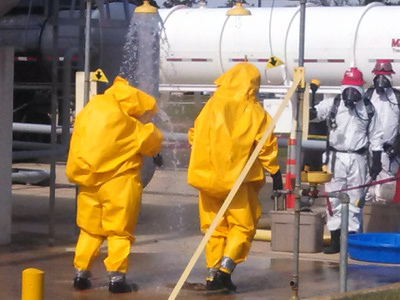 Last year alone TEEX served more than 169,000 people from every U.S. state and territory and 79 countries worldwide. 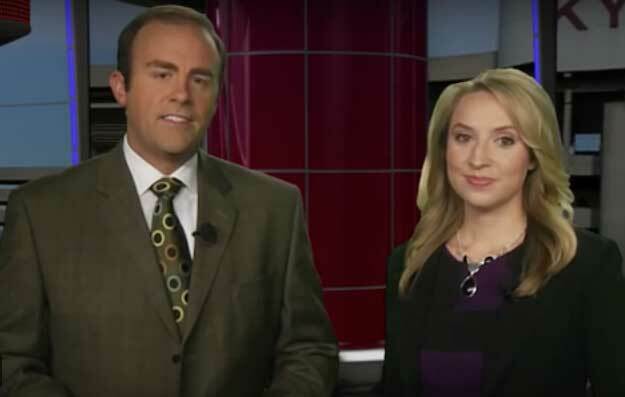 TEEX uses Kappler training suits extensively, and recently was the subject of this TV news report on their experience using Kappler garments. 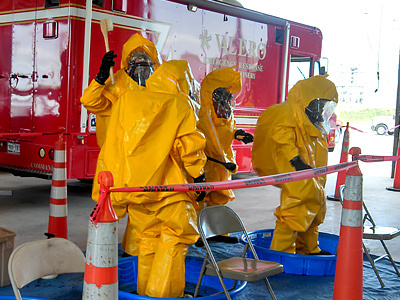 View a photo gallery of Kappler training suits in use at hazmat exercises. 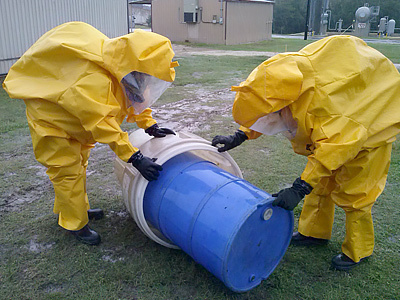 The Texas A&M Engineering Extension Service (TEEX) uses Kappler’s PVS555 training suit extensively. 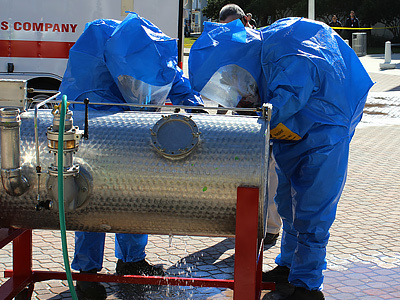 Photos from a recent exercise are shown here. Click on an image to see a larger view. 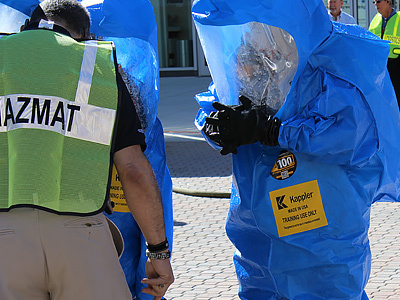 Fire Rescue East is a large regional trade show, and Kappler provided Z1B556XP training suits for the show’s Hazmat Challenge. Click on an image to see a larger view.